The ONE macronutrient (food) you should avoid after your workout if the goal is fat loss or gaining muscle. The perfect combination of food to have before and after workouts. How to use a carb strategy that keeps your body in a fat burning environment and promotes lean muscle gains – simultaneously. The ONE carb rule to follow daily when you’re trying to lose weight. Most folks make the wrong choices and combine the wrong types of foods before and after their workouts. It’s not JUST about healthy foods – it’s about the strategy. P.S. 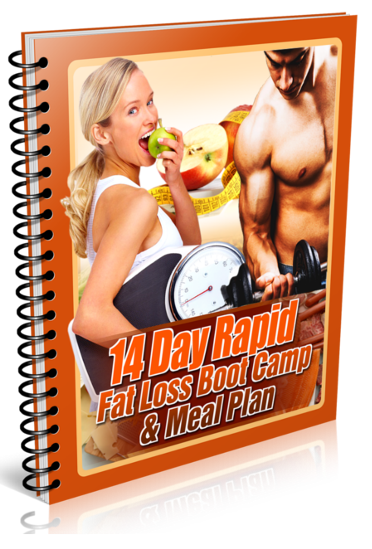 Stay tuned…if you like this video series, you’re gonna love the “14 Day Rapid Fat Loss Boot Camp & Meal Plan” I put together to give you a jumpstart for summer 2011! It’s an aggressive burst of fat loss strategically designed to utilize all the benefits of carbs while burning an insane amount of fat – in only two short weeks. I have MS, and am limited in my movements. Could this strategy work for me? I’m gaining because I can’t move around like I used to be able to and my eating habits haven’t changed like I should have changed them. But I didn’t and the damage is done. So I have to undo it. One thing I’ve found out is that I don’t control my body anymore, it controls me. help!!!!!!!!!!!!!!! YES, these strategies will absolutely work for you. You just have to focus on keeping blood sugar stable and lowering caloric intake at least 5 days a week. You’ll also have to eat less starches and fruits because you’re not able to exercise intensely. My recommendation is avoiding starches and fruits after 3pm at least 5 days a week and following the guidelines I provide in this video series. I hope this helps Ann. Many blessings for your journey!